Texas-San Antonio’s mascot may be the roadrunners, but their season trajectory is much closer to a Wile E. Coyote storyline. You see that cliff that Wile is running on for the first twentyish seconds of the clip? That’s kind of like the 36 seniors from the class of 2014, and where the coyote ends up is what’s left for 2015. Dating back to his Miami days, tight end has always been a point of emphasis for Larry Coker’s teams. 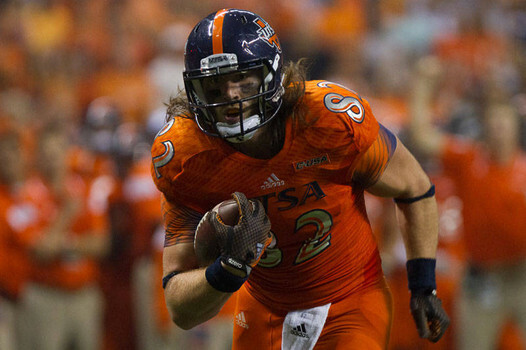 It should come as no surprise then that the leading returning receiver on the Roadrunner squad is TE David Morgan II. He figures to be a featured part of the offense. What isn’t as comforting is that Morgan only had 255 receiving yards last season. Another thing that hurts is that only two returning players had over 100 yards rushing last season, and one of them is the quarterback, Austin Robinson. Jarveon Williams was efficient at nearly five yards per carry and didn’t lose any fumbles, but the sample size is small, so cautious optimism seems like a decent stance for Williams. Quarterback play is another question mark. Of the two QBs coming back who attempted a pass last season, Robinson and Blake Bogenschutz, they combined for less than 1,000 passing yards, exactly one passing touchdown, and seven interceptions. Even in a small sample size, that projects poorly. A player to keep an eye out for would be Michigan transfer Russell Bellomy, who could be an upgrade over either of the other two options. You know what else is a question mark? The offensive line. That would be because they are literally replacing every starter, three of which were four-year starters. Ouch. William Cavanaugh and Jordan Gray do at least have some starting experience at right guard and right tackle respectively, so they ought to step up and try to lead an exceptionally raw offensive line. If you thought I would be out of question marks by the time I reached the defense, then you were sadly mistaken. 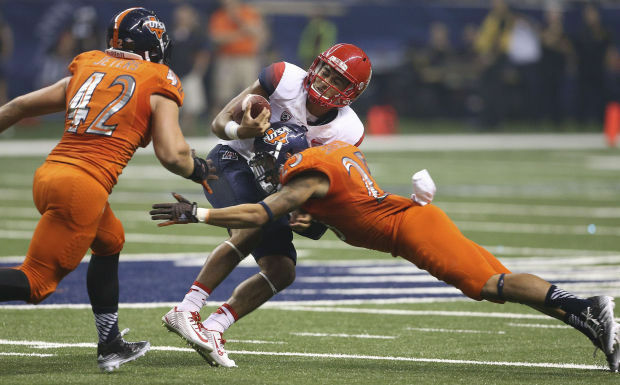 Sorry Roadrunner fans, but that comes with the territory when you only return five total starters. One thing that should help is that at least the secondary has three players back that played in every game last season. Mauricio Sanchez returns to start in the “rover” safety slot he played last year. Chase Dahlquist and Michael Egwuagu both played a fair amount at the “dawg” safety position and both should see playing time there again. Lastly, senior Bennett Okotcha played in every game at cornerback last year and should be one of the strongest pieces of this defense and one of the stronger defensive players in the conference. Drew Douglas is the only other returning starter on defense. With 53.5 tackles, seven of which were for a loss, Douglas is easily the most productive returning linebacker. It isn’t a particularly deep position either. Jason Neill wasn’t a starter last year technically, but he did lead the team with four sacks and he’s back this season. Look for him to claim a full-time starting gig and potentially lead the conference in sacks. As for who lines up next to him, who knows. Codie Brooks or Marcus Davenport is the most likely contender for the other end spot, and community college transfer Vontrell King-Williams is an intriguing option at defensive tackle. This is a major rebuilding project for Larry Coker. Very few teams can replace seventeen starters and be a bowl team. Even fewer teams can do it while playing this schedule. 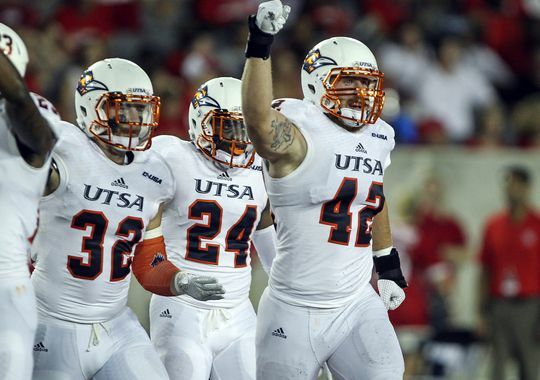 UTSA has non-conference games against Arizona, Kansas State, Oklahoma State, and Colorado State. That’s an exceptionally difficult stretch to open the season. Easier times do at least follow that brutal September though, UTSA’s three toughest conference games (Louisiana Tech, Rice, and Middle Tennessee) are all in San Antonio and the Roadrunners do miss Marshall and Western Kentucky this year.